What is the difference between a contractor and a consultant? How can Star Trek and Star Wars show us the difference? One of the more common misalignments, even from those within industry, is the difference between a contractor and a consultant. The complexity is due partly because both of these classifications fall into a broader category of staff augmentation, where an organization brings in outsiders to help with specific tasks and longer term objectives. In the simplest of terms, a contractor role is a specifically assigned set of tasks or processes that are repeatable and part of the routine operation of the organization. A consultant provides expert advice based on experience and training on how to approach different organizational problems. 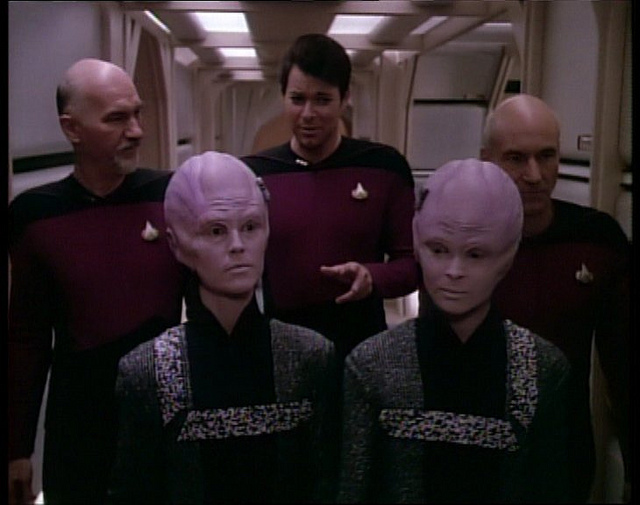 The Starfleet’s utilization of the Bynars in Star Trek: The Next Generation, is a strong example of a contractor arrangement: the objective was clearly defined, some context around the current state was provided, and the customer expected only to see the result with no consideration to the methods. The specific objective was to upgrade the Enterprise-D’s computer system within 48 hours; however, since computer upgrades can be done on every starship, this particular action was not a project but rather an execution of a repetitive process. Starfleet was able provide information on the existing computer system of the Enterprise from the schematics and logs, and the Bynars also had the opportunity to upgrade a computer system on a different ship. Having proven their value once before, the Bynars were then permitted to use whatever means necessary with minimal supervision, since they were providing a defined service. 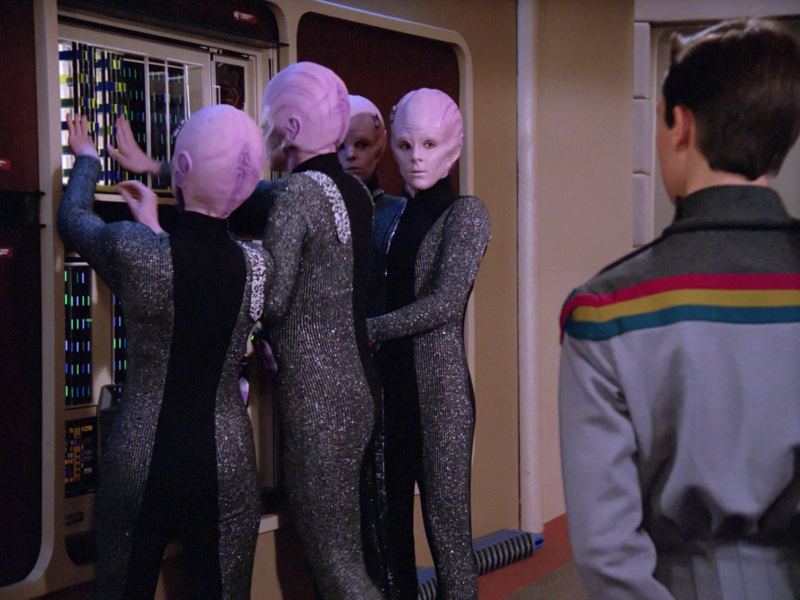 As Starfleet thought about the resources already at its disposal, mainly Starfleet officers, it likely realized that their own organization members were well-suited to upgrading a computer system. Starfleet then decided to go outside its own organization to find experts who could achieve the objective via using different methods and resources than what was available to it. While the work of a computer upgrade probably would not be out of reach for an internal crew, the advantage of using the contractors in this situation was probably that they could complete the work in 48 hours. Consultants are different because, unlike contractors who are brought in to execute a specific body of work, consultants are often brought in to create and demonstrate new methods of approaching challenges. An example of consultant type services rendered is when the Ewoks assisted the Rebel Alliance on Endor. 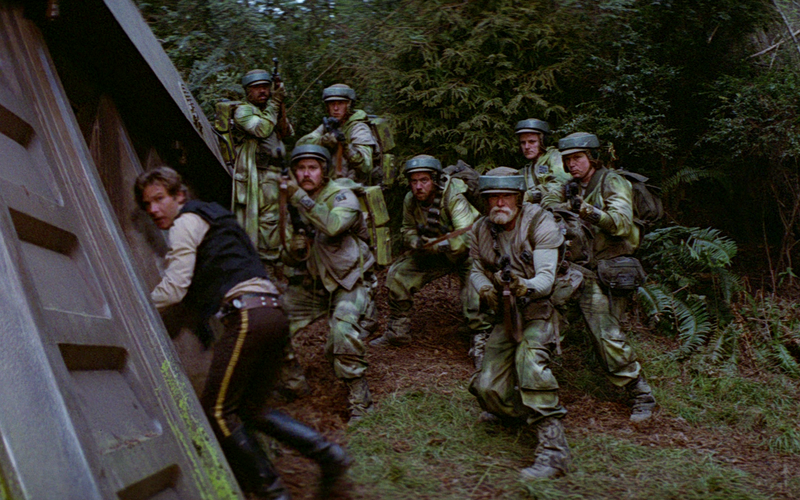 The Endor Strike Team, led by General Han Solo, was ready for revenge after the defeat at Hoth. The strike force was sent with the objective of knocking out the shield generator. Their plan was to find the shield generator, without being discovered themselves, by walking through the forest. They were equipped with camouflage, weapons, and bombs to achieve their goal, but they lacked precise knowledge of the shield generator location and they did not know the strength of the Imperial troops guarding the facility. Fortunately, through the efforts of Princess Leia and C-3PO, the Endor strike team was befriended by the local inhabitants of Endor, the Ewoks. 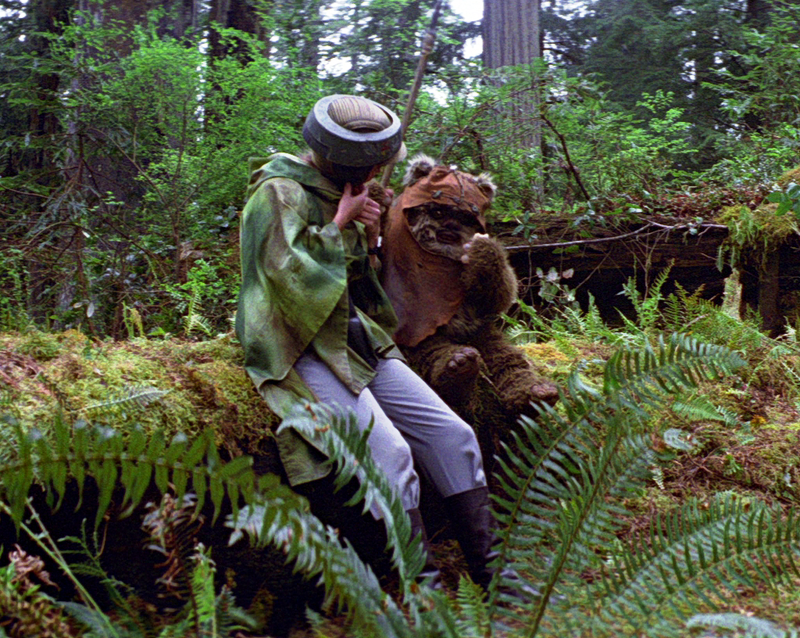 The Ewoks, once convinced not to eat Luke Skywalker and Han Solo, were happy to provide insight on the environment and geography of the area they inhabited. The Ewoks became consultants by providing strategic information to the Endor Strike Team with the exact location of the secret rear entrance to the shield generator facility. The Ewoks initially assisted in providing strategic insight to the project, having expert knowledge of the surrounding area’s geography. The Ewoks were able to give the Endor Strike Team clear directions through the forest, as well as the location of the poorly defended rear entrance. The Ewoks were not included in the initial attempt to destroy the bunker since they did not have the technology to actually destroy the bunker. This was a clear example of an external organization being tapped to provide insight to the larger strategic picture, without being part of the execution of the work to destroy the bunker. 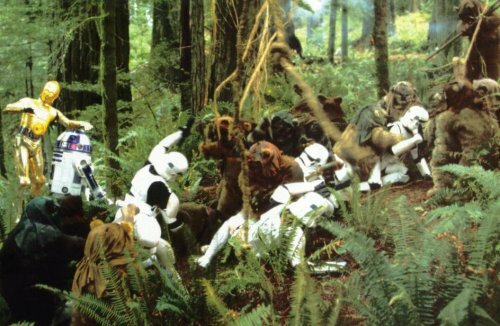 However once the Endor Strike Team was captured and marched outside, presumably to be executed where they wouldn’t stain the insides of the bunker, the Ewoks jumped into the battle to assist the 23-person strike team. This is still an example of consultant-style services, where consultants can often times be employed in the strategic aspects of the project and also function as resources to supplement the organization trying to achieve their objective. In many projects, organizations will partner with consultants to devise strategy as well as execution to achieve an objective that would otherwise be unattainable by the groups separately. For this example, we see that the Rebels needed the Ewoks for scale against Tempest Force, while the Ewoks needed the Rebels who had the explosive charges to blow up the shield generator. A consultant provides guidance and expertise on how to structure a strategy to overcome challenges, and they can also take a more active role to support the organization. Contractors will execute their own methods to complete a particular task, and they can also be hired to act as a specialized team focusing on a particular set of tasks within a repetitive process. At the end of the day, each organization must make its own decision on whether or not to bring in external help and whether they need a contractor or a consultant to get the job done.